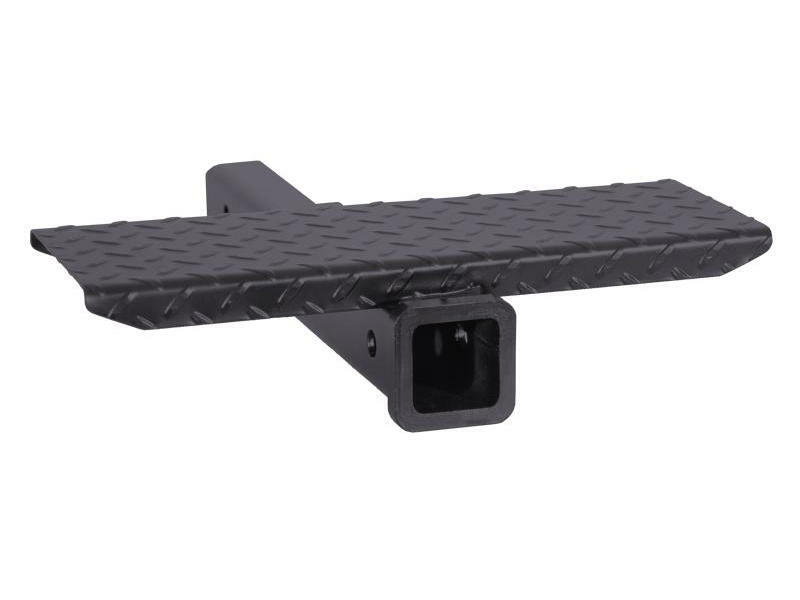 The Receiver Extension with Diamond Tread Step is ideal for slide-out campers with extended overhangs. Step surface area measures 6" x 17" and is welded to hitch extension. The limiting factor is the capacity of your hitch. Using a hitch extender will reduce your hitch's overall capacity by 1/3. For use with 2 inch receivers only.